‘The Promised Land’ is a developing project which aims to explore the continuing struggle between the Palestinian and Israeli peoples. It seeks to draw observations around issues of high-tech and low-tech approaches taken in this conflict. 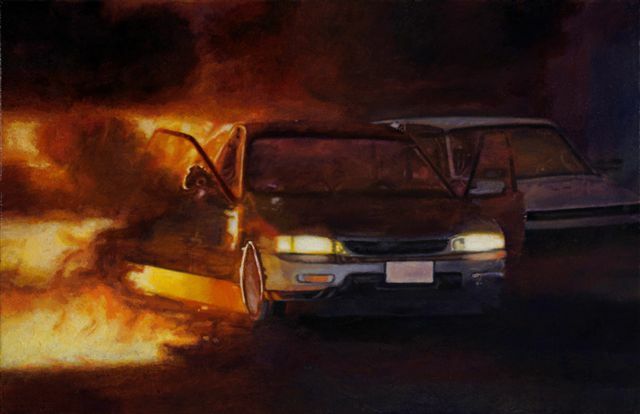 The painting ‘Car Bomb’ represents a Palestinian car bombing which took place in Jerusalem on December 1st 2001. 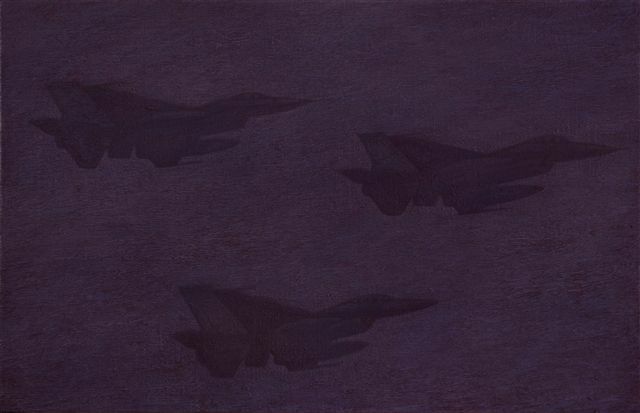 ‘Jets’ depicts three Israeli F16 fighter jets flying over Gaza on a bombing raid. ‘Jets’ and ‘Car Bomb’ are held in the permanent collection of Rugby Art Gallery and Museum.